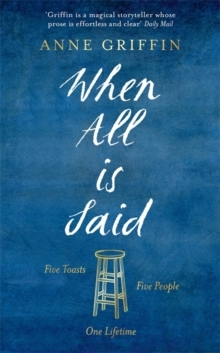 Five toasts. Five people. One lifetime. 'A hugely enjoyable, engrossing novel, a genuine page-turner.' 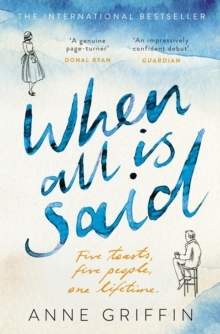 Donal Ryan'An extraordinary novel, a poetic writer, and a story that moved me to tears.' John Boyne'Griffin is a magical storyteller whose prose is effortless and clear. She conjures an intimate, poignant and ultimately enthralling portrait of a man who has battled loneliness and other demons throughout his life.' Fanny Blake'I'm here to remember - all that I have been and all that I will never be again. 'At the bar of a grand hotel in a small Irish town sits 84-year-old Maurice Hannigan. He's alone, as usual -though tonight is anything but. Pull up a stool and charge your glass, because Maurice is finally ready to tell his story. Over the course of this evening, he will raise five toasts to the five people who have meant the most to him.